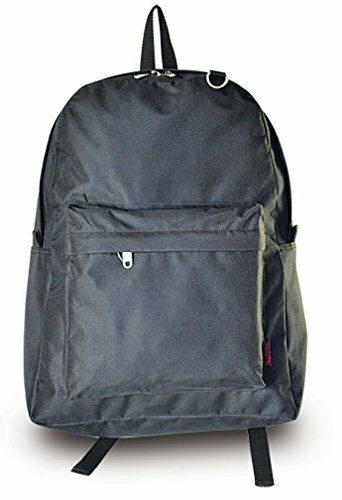 Brand New, Ultimate Arms Gear Tactical New Generation Stealth Black Heavy Duty Daily Survival Series with Adjustable Length Straps Equipment-Shooting-Range-Paintball-Hunting-Camping-Law Enforcement Gear Bag Backpack B9. This Bag is Large Enough to hold all your Essential Gear ex: Pistols, Ammo,Documents,Tools, and Range Gear. Features a Huge Size 17" x 12" x 6". Material: Heavy Duty 600D x 600D Polyester. One Main & One Front Versatile Storage Compartment. Pocket and Pouch for An Amazing Daily Tactical Advantage. Heavy Duty Lockable Zippers. Ergonomic Adjustable Shoulder Straps. View More In Daypacks & Casual Bags.